Outdoor fun, planting a vegetable garden, petting zoo, cooking, music, science experiments, field trips and accelerated tutoring for those who are interested at additional cost. Click here to see summer tuition. We are proud to be part of a 7 acre green private campus with our own private swimming pool. Our Summer Camp early bird program is for ages up to 14 years. We have limited seats for early bird pricing. No other discounts or promotions will apply. We may apply sibling discount at our discretion for full time enrollment. Please call us to enroll or visit our center. OUR OUTDOORS AREA IS HUGE! Besides an on-camplus swimming pool where kids can cool off in hot summer days, our awesome playgrounds offer equipment that encourages exercise, coordination, and group fun. Developing large muscle skills, eye-hand coordination, balance, and flexibility are the aims behind the activities, but to the summer campers, it's just plain fun! 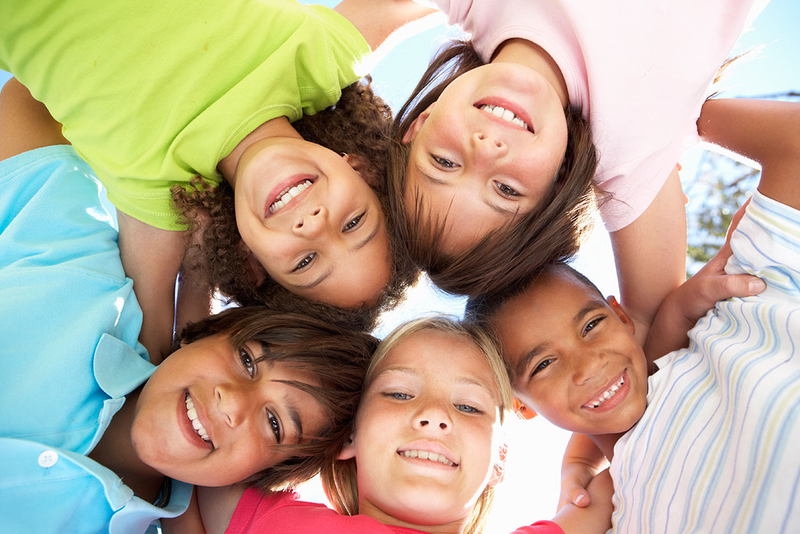 Children benefit by learning how to get along with others, develop some of their own "rules" for play and have plenty of time to socialize within a group. Although we are not a pure sports camp, your child can go to our field to play some familiar sports and perhaps learn some new ones. And yes, we have plenty of green space to play on-campus. We’ll teach the rules of the games and the importance of good team playing. Your young child will enjoy the small petting zoo of domesticated animals that we will bring from outside. It will help them learn all about the beautiful animals in the world. Children who attend the full-day camp session and who are four years old or older may participate in various field trips throughout the summer. In the past we have taken the campers to local minature golf programs, bowling alleys, museums, zinc mine, and other local attractions. In addition we bring many special events to the camp. We have been visited by petting zoos, pony rides, clowns, magicians, and other performers and presenters. All summer campers are included in many of these events. We do charge extra for transportation and tickeing costs of trips. Children will experience nature at its best. They may be planting their own garden and watching it grow or learn about the importance of recycling and taking care of our natural resources. The children will wait days, in awe, to see a butterfly emerge from its cocoon or learn about exotic animals that have come to visit camp for the day. We will conduct experiments on the five senses, the food chain, or any number of other topics. Curiosity and discovery are the theme! The arts and crafts program is popular. Projects are selected for individual age groups to challenge the imagination and develop critical skills such as cutting, pasting, and painting. Summer campers love to design their own T-shirts or handmade puppets. Each artist is proud to bring home their own personally created items. Technology is ubiquitous! Desktops, laptops, phones and tablets have become an important part of our daily life. But how does the technology work in these devices? Our Technology Club tackles these mysteries with your child as your child explores the various uses and the basics of technology. For older children, we will teach them the basics of technology. Introduction to basic computer skills is just the beginning for our summer campers. Children will continuously learn the parts and functions of the computer throughout the year as part of the day school curriculum. They will have time to use our carefully selected software and games to reinforce basic early childhood learning skills in colors, numbers and letters, and much, much more! Click here to learn more about getting ahead in academics. Our curriculum involves various subjects. The strength of the curriculum is in bringing your child ahead of where he or she is based on our diagnostics tests. We provide all worksheets for homework and classwork. We will meet with your child during to go over the week each week. 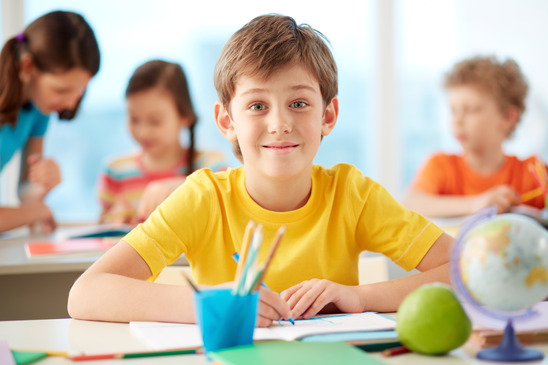 We assure you that your child will enjoy doing our worksheets. Your cost is only $35 per week per subject payable for a minimum of 4 weeks. Even though our summer camp runs for only 9 weeks your child can continue with this program after the summer camp ends. Access to pool is included in the tuition. Summer campers can get swimming lessons when pool is open at an extra charge. The instructor will coach them in water skills, proper swimming strokes, and most importantly, water safety. Our swimming pool is ideal for all ages. The shallow water area allows all ages to stand in the water safely to develop a sense of security and confidence. Certified personnel are present at and in charge of all pool activities. 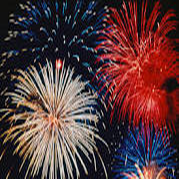 We will celebrate Independence Day on July 3 with lots of fun including outside BBQ and popcorn. We will be closed on July 4. We will invite all parents to meet with each other and share their cooking. Each parent will be asked to bring something to eat. Wel request parents to cook rather than buy pre-prepared meals. Can you identify the music? The swimming instructor and lifeguard will provide group lessons to children during certain times of the day. Our instructor was great and really helped one of the girls overcome his fear of putting his face in the water. My four year old daughter started her swimming classes recently. She already can swim alone, and loves it. 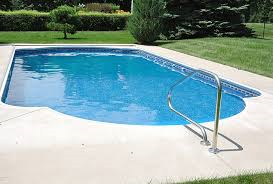 Its a nice and clean pool, everyone is very professional and friendly. I spoke to the director of Engle Summer Camp, she always gave me good advise and answered all of my questions. I give them five stars and recommend to everybody I know! I brought my child to the Engle Swimming Club. The instructor was extremely helpful and gave us a walk through of the facility which was extremely clean too (the other places I visited were not). I was so impressed I had to sign up. We've been here for only four weeks and my son is no longer afraid of water and continues to progress and also enjoy each session. I couldn't be more satisfied, thank you! My children love their swimming classes at Engle Swimming Club! My daughter's instructor taught her how to swim in a few weeks. On the first lesson she was uncomfortable just putting her head under water, now her favorite activity is swimming! Instructor looks like she is having fun teaching, splashing water on the kids, spinning around, picking them up and tossing them in, not just the boring but necessary backfloat but enjoying the experience, she gives a lot of energy in the class. The place rocks! Children are engaged through out their stay in one or more of the following activities. © 2019 Engle Day School. All rights reserved.